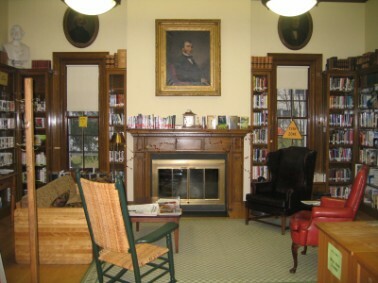 The Morrill Memorial & Harris Library has served the residents of Strafford since 1929. It was built as a memorial to Senator Justin Morrill and his son by his sister in law, Louise S. Swan. The Morrill Memorial was created, in part, to house the Senator's personal collection of paintings and almost 2,000 books. The books have since been moved to the historic Justin Morrill homestead, located next door to the library, but many of the paintings remain. Patrons still have access to this collection upon request. The Morrill Memorial also houses the contents of the first public library in Strafford, the Harris Library, created at the bequest of Jedediah Harris upon his death in 1855. The library currently holds approximately 9,500 books (6,100 adult and 3,400 children's selections), 400 DVDs and videos, 700 audiobooks, and subscribes to 14 periodicals. We offer our patrons wireless internet access, two public access computer stations, interlibrary loan, plus printing and copying services. Library Trustees' Meetings: Monthly on second Monday, 7:00 pm at the Library. Donations from the community are critical to our well-being; contributions supplement the town's appropriation, help pay for special projects and add to the endowment we are slowly building. Tax-deductible contributions can be made to the Morrill Memorial and Harris Library and sent to P.O. Box 110, Strafford, Vt. 05072.